the form of His protection. b) He Who showers rain through the sun. c) He Who showers His radiance on everything. The two roots applicable to this nAma are given by SrI satyadevo vAsishThaas: tij – niSAne – to whet, or tej – niSAne, pAlane ca – to whet, toprotect, and vRsh – secana – to rain, to shower. tejah also canrefer to tejas – luster, light, brilliance, splendor. varshati itivRshah. Thus, the nAma can mean One who showers brightness,One who showers protection, etc. “Thus He showers splendor in the form of protection of the good-heartedbeings. So He is tejo-vRshah”. As all of us know, SrI bhaTTar sees a connection through the sequence of nAma-s,and the current nAma-s are being interpreted as referring to the kRshNaincarnation. So here the protection of the cows and the cowherds that wesaw in the previous nAma is being referred to. SrI v.v. rAmAnujan explains the nAma as referring to bhagavAn showering Histejas or Sakti on His devotees in the form of His protection. Theinnocent folks in AyarpADi loved kaNNan with all their hearts, and He showeredHis Grace and protection on them even as the mother cow secretes the milk forits calf with all its heart. He always showers rain through the medium of the sun. SrI ananta kRshNa SAstri elaborates: tejAmsi AdAya Aditya rUpeNavarshati vA. The dharma carkam writer points out that just as the sea water, which byitself is unusable for most purposes, is converted by the sun into potable andusable water, so also the thought of bhagavAn distills our mind and purifies itfrom bad thoughts. Just as we cannot live without water, we cannot livewithout Him either. Just as the sun keeps functioning behind our consciousthoughts to purify the sea water into a form that is usable by us, so also HisGrace is always functioning to purify our thoughts constantly. c) The anubhavaam of SrI kRshNa datta bhAradvAj is that this nAma indicatesthat He showers His luster on everything because of His divine and auspiciousForm – SrI vigrahAt tejasvinah prabhA kiraNAh sarvatah prasaranti. Whatever radiance a living organism has, is a result of a miniscule fraction ofHis tejas. He Who showers His magnificent weapons such as the cakra (on the enemies) in thecause of protection of His bhandu-s (devotees), is tejo-vRshah. He Who possessed a majesty. We encountered the phrase dyuti-dharah as part of nAma 276 –ojas-tejo-dyuti-dharah (Slokam 30). dyuti refers to effulgence or radiance. The root involved is dyut –dIptau – to shine. SrI rAdhAkRshNa SAstri comments that dyuti is theterm that refers to the unique effulgence that is characteristic of deva-s. The word dharah can refer to “One Who protects” or “One Who bears” (seenAma dharAdharah in previous Slokam). SrI bhaTTar gives the interpretation for the nAma as “One Who had theeffulgence or radiance even at a very young age in His kRshNa incarnation, thatcould bedazzle devendra”. SrI kRshNa datta bhAradvAj describes His unique kAnti – atiSayita kAntisampannah. SrI Sa’nkara refers to the kAnti in all of bhagavAn’s.limbs as hisinterpretation for this nAma (Recall the Slokam 79 nAma-s: suvarNa-varNahhemA’ngah varA’ngah candanA’ngadI, where the beauty and kAnti of His limbsare described). SrI rAdhAkRshNa SAstri comments that bhagavAn is called dyuti-dharah becauseHe supports the dyuti that is characteristic of the sun, the moon, all the deva-s,lightning, ratna, etc. In fact, whatever radiance we all possess inus, is but a tiny part of His radiance. SrI cinmayAnanda points out thatit is this kAnti in us that enables us to be aware of all our perceptions,emotions, and thoughts. svayam prakASamAnah sarvam dharati iti; vAsatavika arthah prakASamAnahsarvasya AdhAraSca iti arthah. “There is no kAma where rAma is, and there is no rAma where kAma is” . This nAma signifies to us that every part of bhagavAn’s Form is such thatit evokes extreme devotion on the devotee. One should go through some ofsvAmi deSikan’s stotra-s such as SrI bahgavd-dhyAna sopAnam, SrI devanAyaka pa’ncAsat,etc., to appreciate the truth of this statement as svAmideSikan has the anubhavam of emperumAn. The Best among those warriors who are armed with all weapons. - Sas – himsAyAm – to cut up, to destroy; based on the pANinisUtra 3.2.182 – dAmnI Sasa yu yuja ….karaNe (shTran), whereby the root Saswith the affix shTran gets the sense of instrument. Thus, the word Sastragets the meaning “a weapon”. - bhR – dhAraNa poshaNayoh – to hold, to support; bhRt means One Whoholds. - vR – varaNe – to choose. VarItum arhah varah – One Who is fitto be chosen is varah. sarveshAm Sastra-bhRtAm madhye varah – SreshThah. “For the Lord of the world Who was diverting Himself with the activities ofthe human beings it was mere play to discharge different kinds of weaponsagainst His enemies”. “Of moving things, I am the wind. Of those who bear weapons, I am rAma. Of fishes, I am makara, and of rivers, I am ga’ngA”. SrI satyadevo vAsishTha asks the rhetorical question as to why He should beconsidered the “Best among those with weapons”, and answers it by pointingout that it is because He has expressed Himself by equipping every livingcreature with the appropriate weapon for its own protection and for itsenemies’ destruction. On the one hand, He has equipped the differentcreatures with different claw types for those creatures with claws, thedifferent types of teeth for those that protect themselves with their teeth fromtheir enemies, with their fangs, horns, etc. However, it is to be notedthat each creature has only one or two such weapons for its own protection. He is the origin of all these Sastra-s, and so He is rightly known as thesarva-Sastra-bhRtAm-varah. He also reserves for Himself the ability tostrike with all the weapons as necessary and when necessary. Thus, theenormous earthquakes, the great epidemics that strike down masses of people,etc., are weapons that He wields as He deems necessary on a mass scale. The dharma cakram writer comments that it is because rAma and kRshNa usedtheir weapons for the destruction of evil and for the protection of the good,that they were SreshTha-s or vara-s among wielders of weapons. Those thatused their weapons for committing atrocities only ended up being ruined. The lesson to take from this in these modern days of invention of more and moretechnologically advanced weaponry, is that they should be used for the good ofmankind, and not for their destruction. 766. pragrahah – The Controller. pra is an upasarga or prefix, and the root involved in the nAma is grah –upAdAne – to take hold of, to seize. prakarshaNena gRhNAti itipragraphah (SrI satya devo vAsishTha) – He Who controls in a special,excellent, or unique way. The different bhAshya-s differ on what iscontrolled by Him. SrI Sa’nkara uses the meaning “He receives” forthe term grah in his primary interpretation. 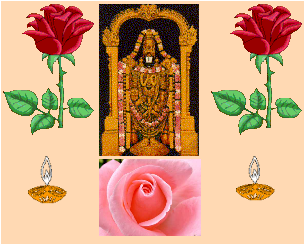 AtmAnam rathinam viddhi, SarIram rathameva ca, bhuddhim tu sArathim viddhi,manah pragrahameva ca). b) SrI satyadevo vAsishTha explains the nAma by referring to bhagavAn’sexceptional control of everything in the universe – prakarshaNena gRhNAtiviSvam iti. c) SrI Sa’nkara uses the meaning “to receive” for the word grah, andgives the interpretation that bhagavAn has the nAma parigrahah because Hereceives offerings such as leaf, fruit, etc., from His devotees – bhaktaihupahRtam patra pushpAdikam pragRhNAti iti pragrahah. SrI cinmayAnandagives a different dimension to this notion – He is pragrahah because He is theultimate recipient of the worship offered by people of all creeds and races, andall animals, men, plants, etc. tat-prasAdena aSmineva badhnAti it vA pragravat – prgrahah. It is because of His anugraham that a true devotee is able to overcome theinvolvement in sense-objects, and proceeds to the true realization. He is the Lord Who accepts the SaraNAgati from His devotee the very first time,and will never ever forsake the devotee; such is the superiority of Hisacceptance of SaraNAgati. b) He Who has a firm control over all creation. The word nigraha means restraining, keeping in check; nigrahaNa meansholding back or down, suppressing. Thus, the nAma means “One Whorestrains”, “One Who keeps in check”. The differentvyAkhyAna kartA-s give different instances of His restraint as illustrations ofthis nAma. a) SrI bhaTTar’s vyAkhyAnam is that He has this nAma since He successfullysubdued all the enemies in the mahAbhArata war by His skill as a Charioteer,without expecting the support of arjuna or his valor. sarvam sva-vaSena nigRhNAti iti nigrahah. SrI stya sandha yati raja alludes to His subduing all the asura-s –nigRhNAti daityAn iti nigrahah. He restrains those who stray away from the path of dharma. nigRhyante pArtha-Satravah kaka-dRshTinA anena iti nigrahah. niScayena gRhyate yena iti nigrahah vishNuh - bhagavAn has a firm grasp andleads everything in this universe as He wishes, creating what is fit to becreated, destroying what is fit to be destroyed, etc. c) SrI cinmayAnanda literally translates the nAma “nigrahah” as “TheKiller”, and points out that such a nAma is justified for bhagavAn in thecontext of His destroying the ego in His devotees. This is like a doctorwho “murders” the diseases in the patients, the sun is the destroyer ofdarkness, etc. The nAma also means “One Who absorbs the devoteesunto Himself”. of His devotee during the mahAbhArata war). b) He Who has no end. c) He Who moves around in many different ways. e) He Who uses garuDa as His vehicle. The root from which the term agrah is derived is agi –gatau. Through the uNAdi sutra 2.28, the addition of the affix ra leads to the wordsagra, which mean “front, first”. “O Sini-pravIra (referring to Satyaki)! Those who have gone, have gone forever. Those who are still left, let them all go at once. You willsee now that bhIshma is thrown from his chariot, and also droNa with hisarmy”. So saying, kRshNa jumped down from the chariot , and leaving the horses,advanced forward against bhIshma. “Let those who run keep running, and let the remaining watch Me defeat bhIshmaand droNa”; so saying, He jumps from His chariot, even forgetting Hisown promise not to take to weapons. Thus, He is One Who does not delay when itcomes to His determination to get rid of enemies. Thus, the nAma indicatesHis intolerance and impatience when it comes to getting rid of the enemies ofHis devotees. “You are One with the determined Mind to do whatever You have to doeliminate the demons when it comes to protecting the deva-s”. (SrI v. n.vedAnta deSikan comments that in this regard, He is the efficacious poison tothe asura-s that will not fail, and for which there is no antidote). b) SrI Sa’nkara uses the meaning “end” for the word “agram”, andgives the interpretation that because He has no end, He is vyagrah – vigatamagram asya itit vyagrah (agram – antah, vinASah). c) SrI satyadevo vAsishTha gives the derivation “vividham gamanam yovidhatte sa vyagra ucyate – He Who moves around using many different ways isvyagrah. He points out that everything that is moving is amanifestation of His guNa of vyagra, or movement in various ways. d) SrI satya sandha yatirAja uses the pATham a-vyagrah for the nAma as hisprimary interpretation. The meaning is “One Who is not confused” –vyagro na bhavati iti a-vyagrah. (In thisinterpreatation, vgagrah means“One who is confused”, and avyagrah is the opposite. vividham agramasya iti vyagrah – One Who is confused, with multiple paths and not knowingwhat to choose – amara koSa vyAkhyAnam). “vih garuDo agre asya sa vygrah” – He Who has garuDa as His vehicle (togo, to move around). a) He Who adopted diverse tactics for controlling His devotees’enemies. b) He Who can be brought under control (realized) through the four horns inthe form of the four veda-s.
c) He Who can be controlled (reached) through the OmkAra, with its four“horns” – akAra, ukAra, makAra, and nAda. d) He Who has the four horns in the form of the four veda-s, to control theworld through dharma. e) He Who has many dimensions to His Lordship (prabhutvam). f) He Who has many aspects to His role as a Bestower of His devotees’ wishes. g) (eka-SR’ngah – satya sandha yatirAja) – He Who took incarnation as theone-horned varAha. h) He Who has many rays of effulgence radiating from Him. i) He Who has provided diverse means to the different living beings tocause harm to their enemies, as also to defend themselves from their enemies. The root involved in the nAma is SRR – himsAyAm – to tear to pieces, tokill, to hurt. The word SR’ngah is derived from this root by theapplication of the uNAdi sUtra 126, SRNAter-hrasvaSca. SrI satyadevovAsishTha gives the meanings – dIpti (radiance), “means ofdestruction”, and “means for protection against obstacles from others”,for the word SR’ngam – SR’ngam iti dIpter nAma, himsA-sAdhanam tathApara-kRta-bAdhA-nivAraNa-sAdhanamapi SR’ngam. The word SR’ngaalso means horn, and SrI Sa’nkara uses this meaning in his interpretation. “He is naika-SR’ngah since He adopted several devices for bringing about thefall of the enemies, like giving sound advice, skillfully driving the chariot,pretending that he would not use a weapon but actually making use of His weaponat the opportune moment, etc”. Interchanging day and night is another of thetactics that He used. paNNI mAya’ngaL Seidu Senaiyaip pAzh paDa nUtRiTTup pOi…. “To reduce the weight of this world caused by the ahamkAra of people, theLord caused the mahA bhArata war, performed many miracles, as if some mantra wasinvoked for each step, and made sure that His design succeeded”. (nooTriTTu– fabricated, as it were, all these mAya-s). b) SrI Sa’nkara uses the meaning “horn” for the word SR’ngah, andgives the meaning “He With Many Horns”. SrI rAdhAkRshNa SAstri explains that just as the animals with horns comeunder control when their horns are seized, bhagavAn comes under control of Hisdevotees through the four veda-s – the four “horns” referred to by SrISa’nkara – catuh SR’ngah naika-SR’ngah. (Ralph T. H. Griffith gives an explanation based on SAyaNa bhAshya for theabove in his translation of the Rg vedic hymns. The four horns refer tothe four veda-s, the three feet refer to the three daily sacrifices, etc.). from the niruktam - catvAri SR’ngA iti vedA vA uktah. d) A thought that comes out of b) is that bhagavAn has the four horns in theform of the four veda-s, that He uses to control the world through dharma. SrI cinmayAnanda interprets the reference to “the four horns “catvAriSR’ngA” in the Rg vedic quote above (4.58.3) as a reference to the fourStates of Consciousness – the waking, dream, deep-sleep, and Pure Awareness. He interprets the three feet as the three states of gross, subtle and causalbodies respectively. naikam vividham SR’ngam prabhutvam yasya iti naika-SR’ngah. He quotes medinI in support – SR’gam prabhutve Sikhare (medina 3.25). or One Who establishes dharma” (vRsha – dharma). eka-SR’ngah tato bhUtvA varAho nandi-vardhanah| imAm ca udhRtvAt bhUmimeka-SR’ngah. 2) He Who provides many ways to ward off from himsA (see the first paragrapah). As illustration of the third interpretation, he points out the sharp nails inthe paw of the lion are its horns (SR’nga) for its protection, the horns ofthe buffalo are its way of protection, the hands for the man are hisSR’nga’s for protection, the tusks of the elephant are its SR’nga forprotection, etc. All these same instruments for their protection are alsothe same instruments for destruction or himsA, and thus the same examples holdfor the 2nd interpretation above as well. a) The elder brother of gada. b) He Who was born as a result of mantra. a) SrI bhaTTar's vyAkhyAnam is that kRshNa is the elder brother of a childnamed gada, born to vasudeva after kRshNa. Gada's mother is sunAmA, one of thewives of vasudeva. b) SrI Sa'nakra sees the nAma as (ni)gada-agrajah, or born as a result ofmantra (as in the case of Lord rAma who was born as a result of putra kAmeshTiyAgha). He treats ni as lopa (left out, elided) in this interpretation -nigadena mantreNa agre jAyata iti "ni" Sabda lopam kRtvA gadAgrajah. (gadyateiti gadah, referring to mantra-s). He also gives the interpretation "Elderbrother of gada" as his second interpretation. SrI rAdhAkRshNa SAstri notes that in her letters to kRshNa, rukmiNi calls Himby this name, gadAgrajah. c) SrI vAsishTha gives a different interpretation: He looks at the nAma asgada + agra + jah. For gada, he derives the meaning from gada vyaktAyAm vAci -to speak; For agra, he derives the meaning from agi - gatau - to go; and he usesthe meaning jAta - anupavishTa - who enters or pervades, for the part jah. Thus,his interpretation for the nAma is "He Who pervades (in the form the soul)those that speak and those that walk or move around. Gadeshu - gadana Seeleshu,agreshu - gamana Seeleshu, anupravishTo jAta iva pratIyamAno gadAgraja itivishNor nAma. SabdAyamAne, gamanaSIle ca jIvita SarIra eva jIvAtmAno'vabhAsahprakASa ityarthah. The foremost and the best among those who have produced sound. The referencehere is to His revelation of the veda-s. For this reason, He is also calledvAcaspati. e) SrI satya sandha yatirAja, in addition to the interpretation forgadAgrajah as "the elder brother of gada", also considers thealternate pATham agadAgrajah, and sees the nAma as agada + agrajah. Here agadameans healthy, without disease, and agraja refers to brAhmins. Hisinterpretation is: agadA nIrogiNo agrajA brAhmaNA yasmAt iti agadAgrajah - Hebecause of Whose Grace the brAhmaNa-s are healthy. The reference can be tospiritual health because of the vedic chanting.